Save time and stop cleaning the cat litter box. What? Yes. Really! 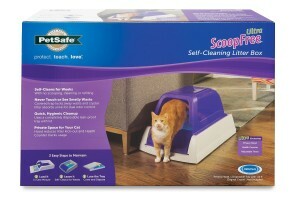 The ScoopFree automatic litter box does all the work for you. 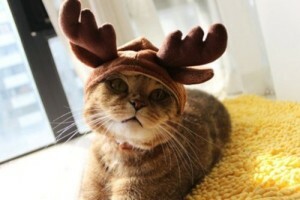 If you have a cat, you are probably putting your nose and hands near your cat’s toilet at least once a day. 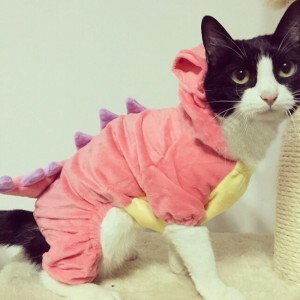 Harmful bacteria and the litter dust are flying around the house every time the cat starts digging before she uses the litter box. 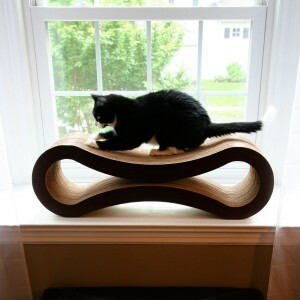 To make sure that you will never have to go through this routine again, experts and feline lovers educated at MIT created the miraculous ScoopFree Ultra Self-Cleaning Litter Box. 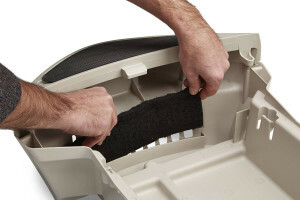 This revolutionary auto litter box will also be your little helper while you are away from home, making sure that your house or apartment stays odor-free and preventing the litter dust from spilling around. The ScoopFree is fully automated, super simple and easy to use. 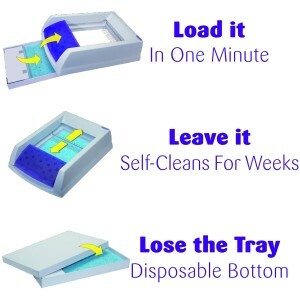 Its bottom part is actually a removable tray cartridge filled with Premium Blue Crystal Litter. This crystal litter will immediately absorb the urine and successfully control the odor. Solid waste will be eliminated by built-in rake and locked into a special covered trap to prevent the unpleasant smell. 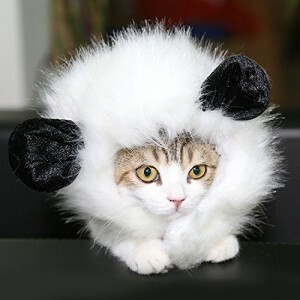 The self-cleaning mechanism has an adjustable rake delay and it can be set to activate 5, 10 or 15 minutes after the cat has left the unit. The cleaning cycle is very short and it lasts less than one minute. Every 20-30 days you will have to change the cartridge by pulling the tray out and replacing with the new one. 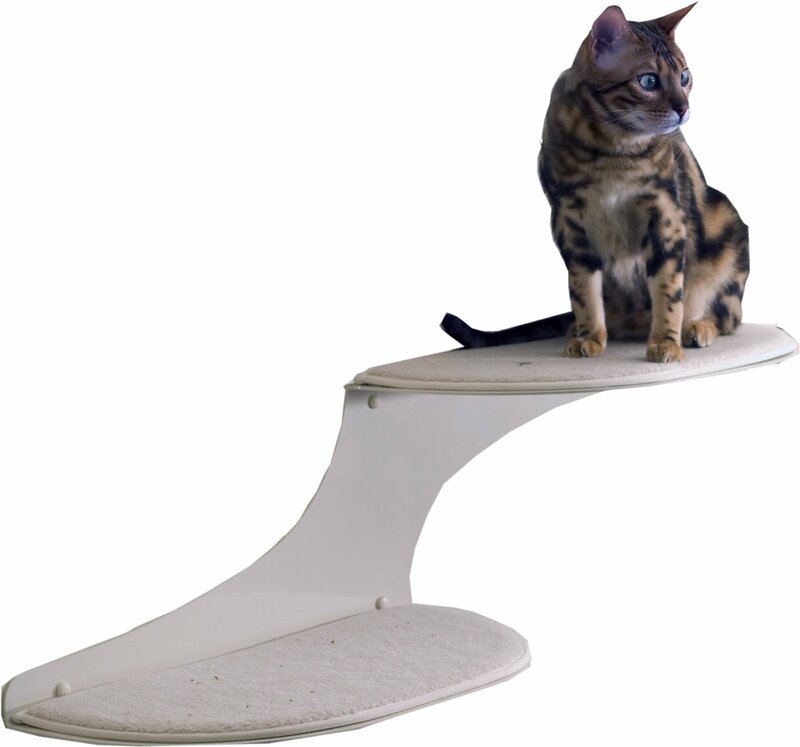 The ScoopFree has several innovative features that will help both you and your cat. 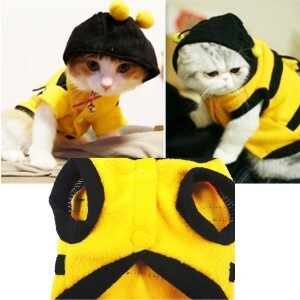 It comes with a privacy hood, so your cat can feel isolated and more comfortable while doing her thing. It also has a very useful health counter that tracks the frequency of use. 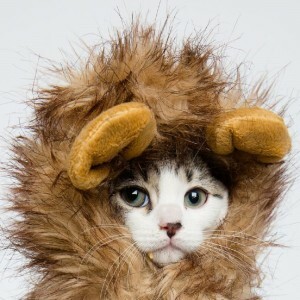 Many feline health conditions are related to excessive urinating and defecating. 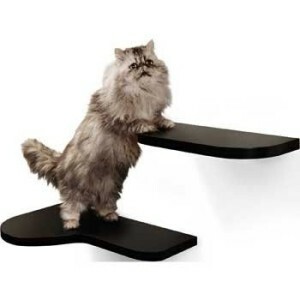 This counter will help you notice changes in your cats’ daily routine, so you will be able to consult with a vet and prevent or treat the condition timely. 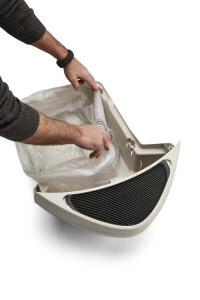 You will not need tools or manuals to assemble the ScoopFree litter box. Even a little girl can do it. Just take the unit out of the box, put it on top of the cartridge, gently press to click and plug it in. 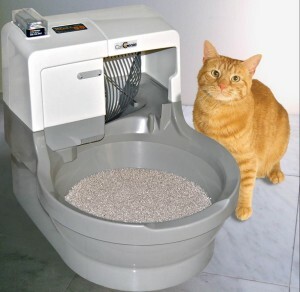 After you set the rake delay, this automatic litter box will be ready for your cat to use. The ScoopFree comes with 90 days money back guarantee and 1-year product replacement guarantee. 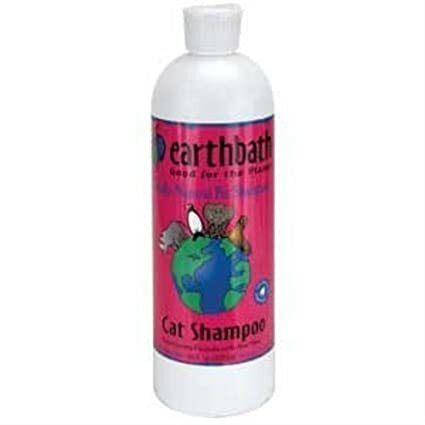 If your cat can’t adjust to crystal litter in three months, just return the product. 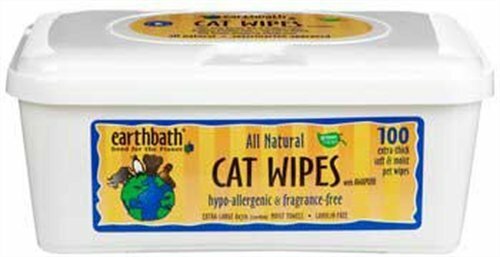 Cleaning the litter box has never been easier. 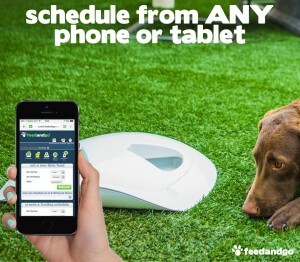 The ScoopFree will change your unpleasant daily task into an easy monthly routine. Plus, you will not have to touch the dirty litter and scoop the clumps and waste. Once in 20-30 days, when it’s time to change the tray, lift the upper part of the unit, remove the cartridge, cover it and throw it away. Then slide under another tray with fresh crystal and that’s it. 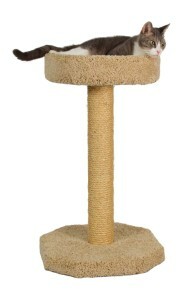 You will be able to forget about your cats’ litter box during next few weeks, except when you check the health counter. Just set the rake delay to 5, 10 or 15 minutes, and fully automated cleaning cycle will take care of everything. No more odor, litter dust and dirty work in your house. 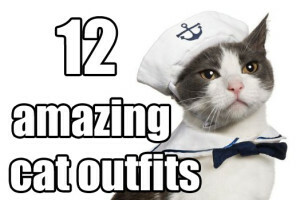 If you own a cat, you probably spend at least several minutes a day on scooping the clumps and poop from the litter box. Plus, you have to clean the dust and dirt kicked out to the floor. Save time and avoid smelly odors by investing in a fully automated solution, like the CatGenie Automatic Litter Box. from your to-do list. 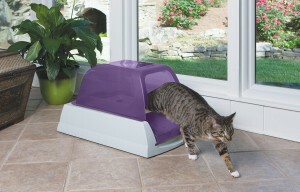 It is the best automatic cat litter box which flushes like a toilet and removes the waste directly to the drain. 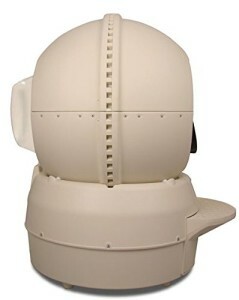 It is the best automatic cat litter box which flushes like a toilet and removes the waste directly to the drain. You will not have to touch, clean, smell or buy the cat litter as long as you have this revolutionary auto cat litter box. 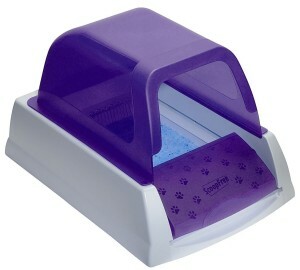 The CatGenie litter box is filled with special washable plastic granules that imitate the real cat litter. When your cat does uses the littter box, the liquid will instantly drain down into the reservoir at the bottom of the box. At same time, the waste will be removed into the hopper with a built-in scoop. After the flushing, the urine and poop will be mixed with the SaniSolution and flushed out of your home. One cartridge can hold enough SaniSolution for at least 120 flushes. 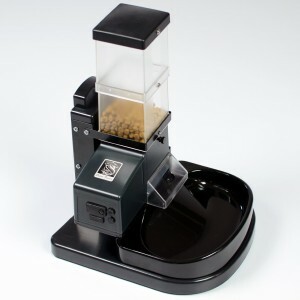 Finally, the granules will be automatically dried with a hot air and ready for the next use. There will be no unpleasant smells and bacteria all over the house. The cleaning cycle can be activated in three different ways. You can set a “Cat Start” using cat sensors which will detect cats’ eyes and start the cycle ten minutes after she leaves the box. You will make significant savings in SaniSolution in this mode. One cartage will be enough for even 240 flushes. Another option is to choose an “Auto Start” and set it to clean the box from one to four times per day. The CatGenie Self-Washing Self-Flushing litter box doesn’t have a clock built in, so you will have to set up this option in a particular moment of time. For example, if you want the cleaning cycle to start every day at noon, you will have to activate it at noon for the first time. After that, it will be done automatically every 24 hours. 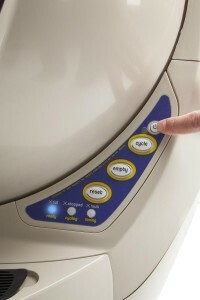 To start the cleaning cycle manually, just choose “Push Start” and the auto litter box will be flushed only when you push the button. The CatGenie litter box comes with a hose adapter so it can be easily connected to a cold water line. The sewer hose will have to be placed on the toilet rim or into the laundry waste drain, so it can remove the waste down the sewer line. You will not need any tools to set up this amazing non-litter cat box, but for your comfort you can use a pair of pliers or a wrench. The CatGenie Self-Washing Self-Flushing Litter Box has a 90 days money back guarantee, just in case you are not satisfied with a product. It also has a two years guarantee on parts and labor. 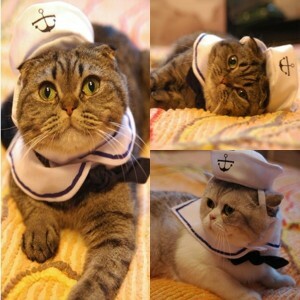 Well-educated cat lovers from the CatGenie customer support team will promptly answer all your questions. 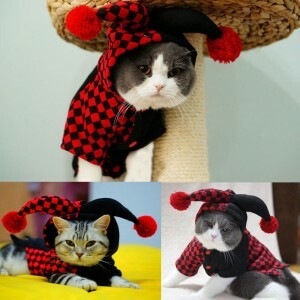 Well-educated cat lovers from the CatGenie customer support team will promptly answer all your questions. Easy to set up. Comes with an instruction manual. When you decide to buy the CatGenie Self Washing Self Flushing Cat Box you will never have to carry the heavy litter home and clean the litter box mess again. This innovative auto cat litter box cleans, disinfects and dries itself, so you will be carefree when it comes to this formerly unpleasant task. 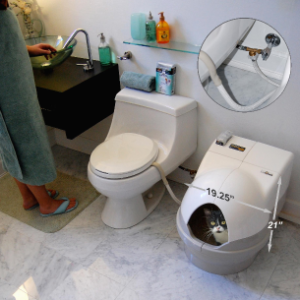 The CatGenie is a full-stop solution to cat toilet needs. Washable granules are a dust-free alternative to cat litter and they will not need to be changed. 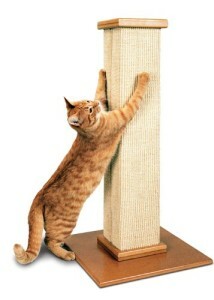 SaniSolution is totally safe for felines and approved by vets. Plus, everything is biodegradable and environment-friendly. 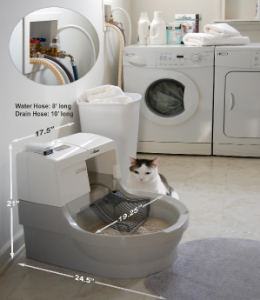 CatGenie Self Washing Self Flushing Cat Box will make cat ownership more hands-off than ever. The Litter-Robot III Open-Air is innovative self-cleaning, automatic litter box which will bring the ease of cat ownership to a whole new level. 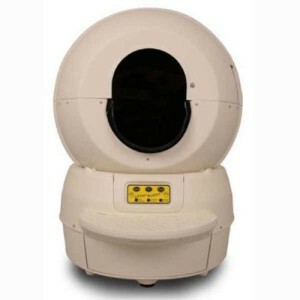 If you own a cat and you don’t like to put your hands in the dirty litter or if you are often away from home, Litter-Robot III Open-Air will take care of this unpleasant task for you. 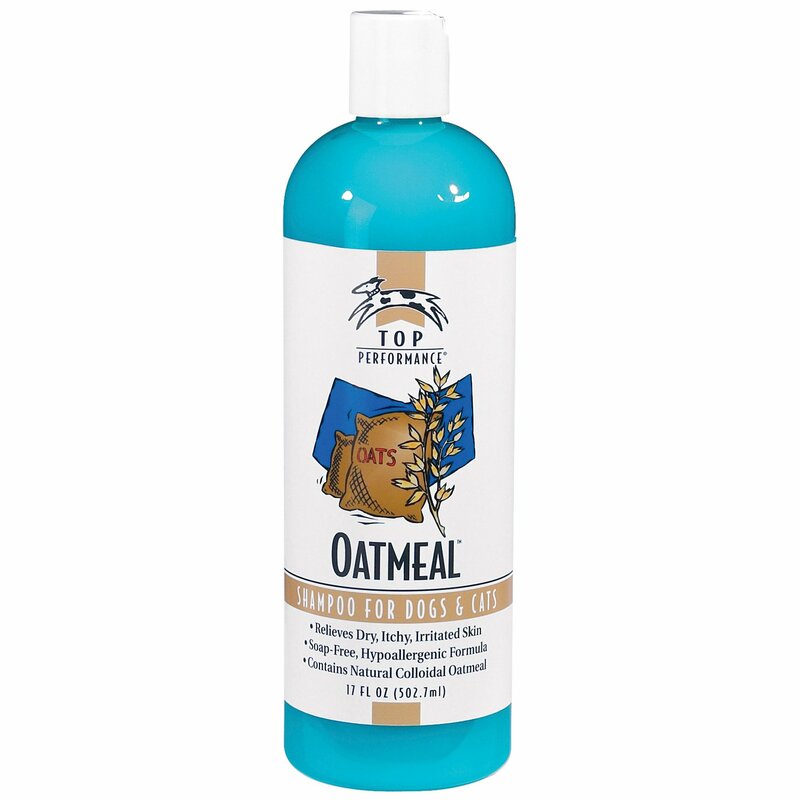 There will be no more unpleasant odors and harmful bacteria in your house. 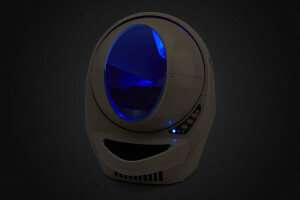 The Litter-Robot III Open-Air is the latest top-notch product based on the successful Litter-Robot platform. This self-cleaning litter box is comfortable even for large cats. It has modern design and many simple but useful features which will make the litter routine easier for you and your cat. 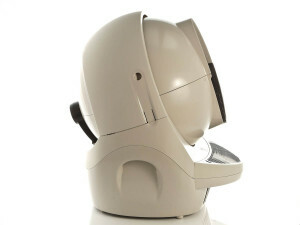 Customer reviews of previous versions of the Litter-Robot (like the Litter Robot LRII) were taken into a consideration when this improved model was made. 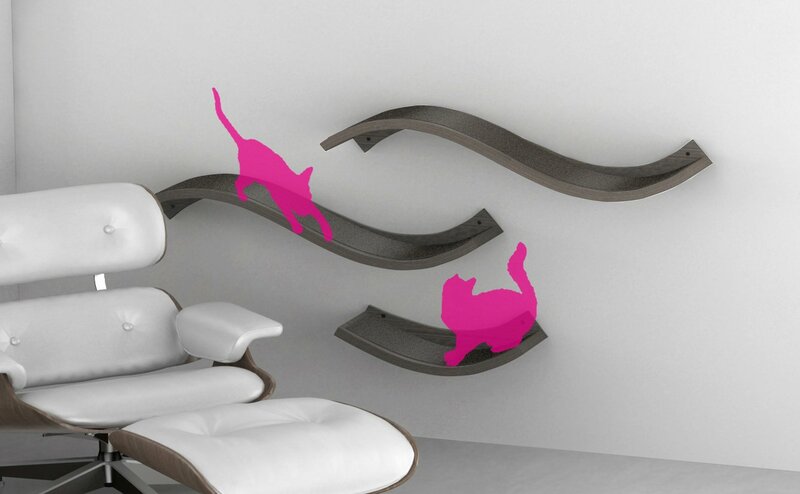 The Litter-Robot III Open-Air has a large entry which will give your cat an open-air comfort, without the ability to spill the litter all around the room. When a cat enters the large ergonomic globe, sensors on the floor will be activated and a few minutes after she leaves the electronic litter box, cleaning cycle will start. 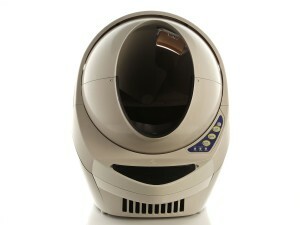 The Litter-Robot III has an adjustable timer which will postpone the cleaning cycle for 3, 5, or 7 minutes. This way the dirty litter has enough time to form strong clumps. After, the globe will start rotating to separate the waste that will fall down into the special drawer from the clean litter which will stay in the globe. When the litter is clean, the globe will return to its normal position, so the cat will be able to use it again. 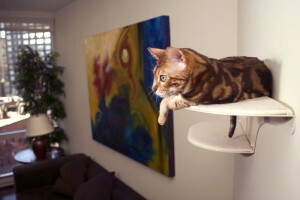 If your kitty weighs less than 5 pounds, you will need to start the cleaning cycle manually, by pressing a button. After a few days, when the plastic bag in the waste drawer gets full, the sensors will activate. This triggers a blinking light as a signal for you to change the bag. 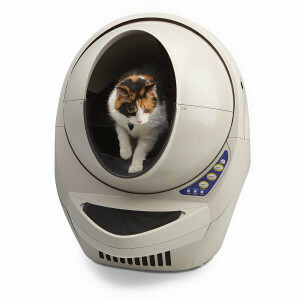 Even if you own an older cat, it will be easy for her to use the Litter-Robot III Open-Air because it has a night light built in. Your pet will be able to find it in the dark. Although it is very quiet when compared to other automatic litter boxes, it also comes with an 8-hour sleep mode option. 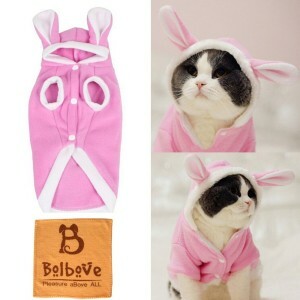 It also has a control lock function, so your cat will not be able to accidently press any buttons. 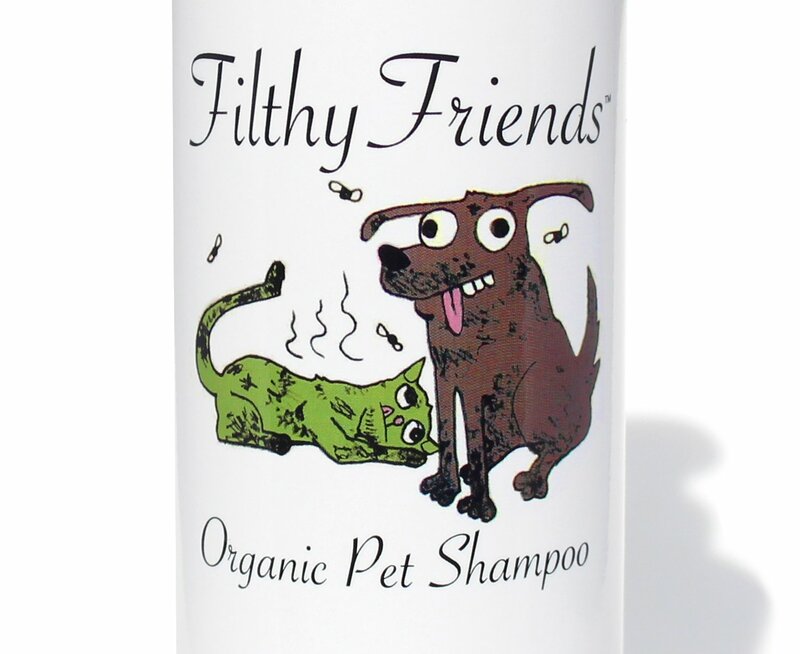 With this amazing product, you will never have to scoop the poop again. When you buy Litter-Robot III Open-Air automatic cat box it comes with a full 90 days money back warranty. If you are not satisfied with this amazing product within the 90 days you will get a money refund from the manufacturer. The Litter-Robot III Open-Air also comes with an 18-month full guarantee and the possibility to extend this period to 36 months. In the rare case, it does break down. 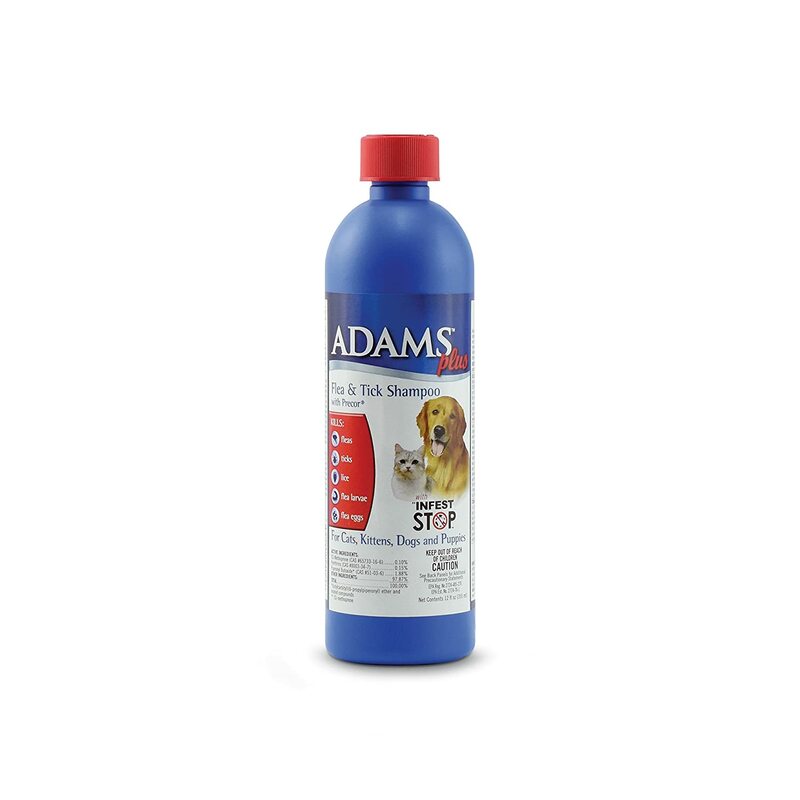 It is a very reliable product, made in the USA. It comes to your door fully assembled. Take it out of the box, plug it in and it is ready to use. Very user-friendly and easy to program. 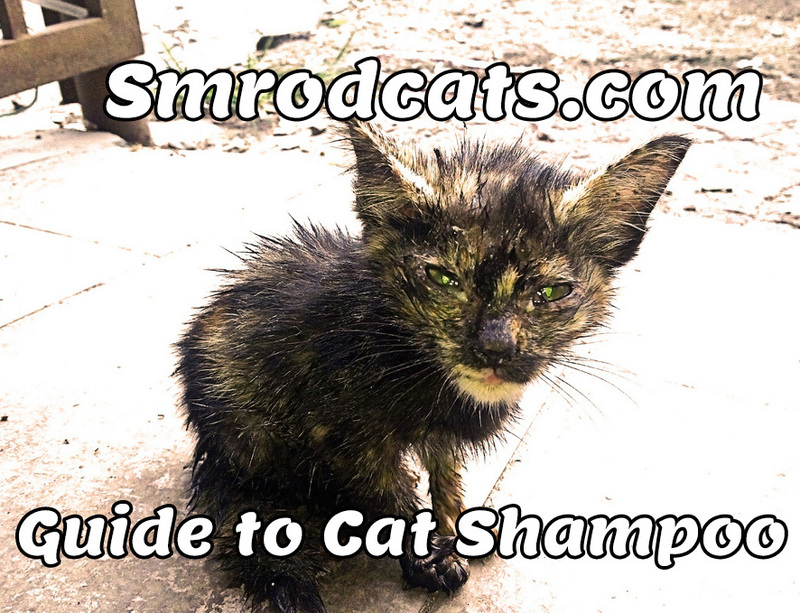 You can also lock the buttons, to prevent your cat from interfering with the program. 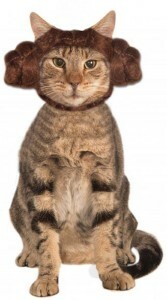 Saves you 50% on cat litter! It is a bit large, so it will need a lot of space in your home. However, it has a nice modern design making it easy to fit into the ambient of any room. 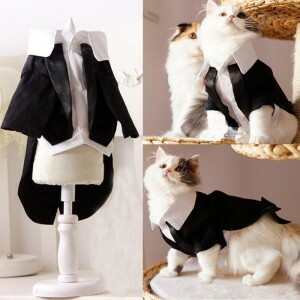 Suitable only for cats heavier than 5 pounds. If your cat is too small you will have to start the cleaning cycle manually. 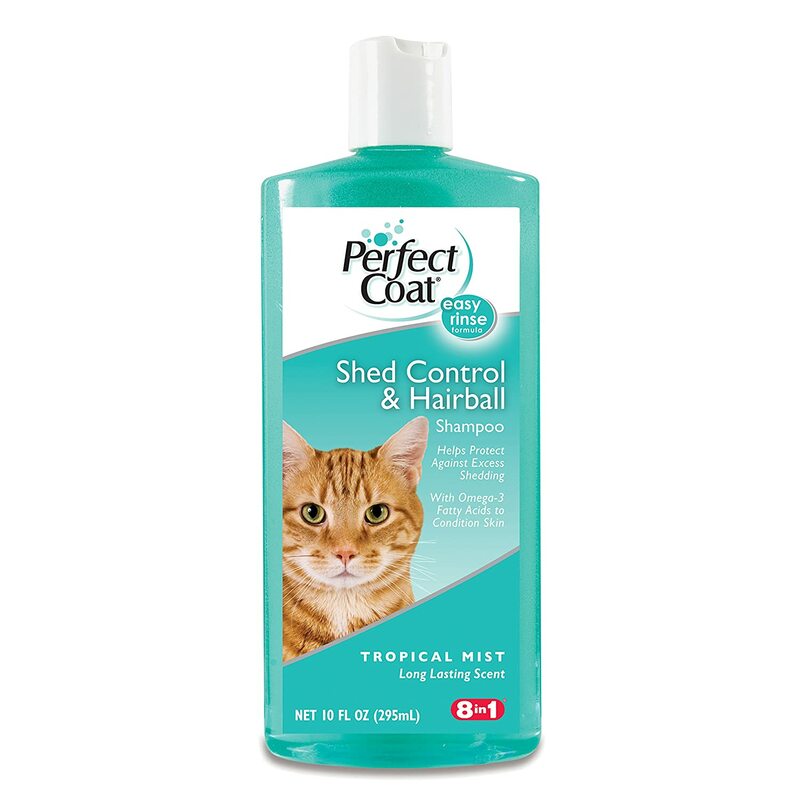 It works only with clumping litter. 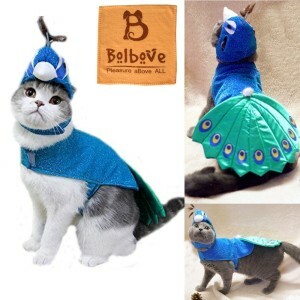 If your cat is used to another type of litter, it might take some time for her to adjust (we recommend this one, #1 best seller on Amazon for a reason). It’s a bit expensive. But it is also long lasting and very reliable. Remember, you get what you pay for! Cats are very clean animals, so if you don’t clean their litterbox regularly, they will do their thing elsewhere. On the other hand, you would probably like to avoid touching the waste and dirty litter. The best solution is to let the revolutionary Litter-Robot III Open-Air auto litter box do the dirty work for you while you can enjoy other more pleasant activities with your cat. 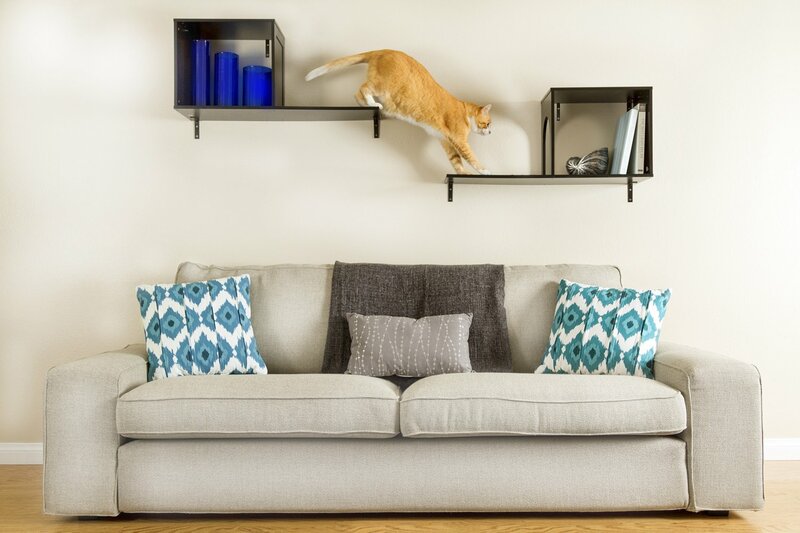 Your house will be clean, without any litter dust and waste dirt on the floor, and your cat will enjoy the open-air feeling.